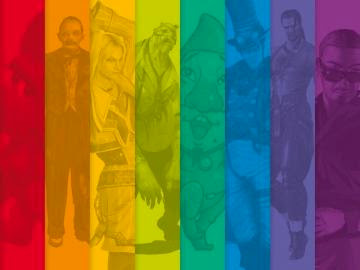 The quote above--attributed to Chris Shroyer, a designer at Florida-based developer n-Space--appears in "Playing It Straight," an Edge magazine article about LGBT characters in video games. Here's the rest of the openly gay Shroyer's quote, by the way: “I don’t think there are many on the development side that are opposed to including LGBT-related content, but I think there is a fear of offending publishers and consumers." Also quoted in the article: GayGamer.net's David Edison, Jeb Havens, an openly gay designer who works at California-based developer Slide, and a number of other gay and straight "industry insiders." Although the three-page article--which is followed by a trio of intriguing case studies of Bioshock's Sander Cohen, Bioshock 2's Brute Splicer and Fable III's Reaver--doesn't really tread new waters, it's still well worth your time. Read it here. Sweet! I will, when I get a free second this week! Thanks for sharing!